Somehow we manage to get the old bedroom carpet from upstairs out of the room, down the stairs and into the car before taking it to the tip. Preparations are now complete for the arrival of the new carpet on Wednesday. In the evening, we head to Broadway for a meal. Which is harder than it should be because almost everything is off. Then we catch a film. 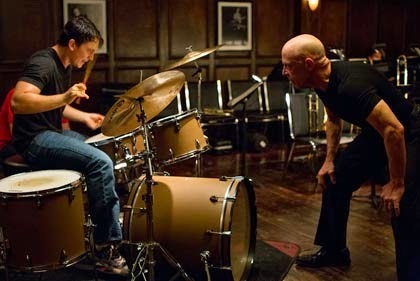 Whiplash. 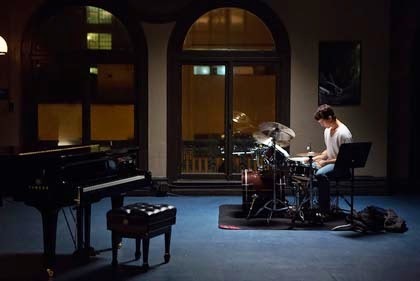 Andrew Neyman (Miles Teller) is a first year student at an elite music conservatory in Manhattan who has dreams of becoming a great jazz drummer in the vein of his hero Buddy Rich. Andrew is a dedicated lad with the drive and ambition to succeed but is that enough? 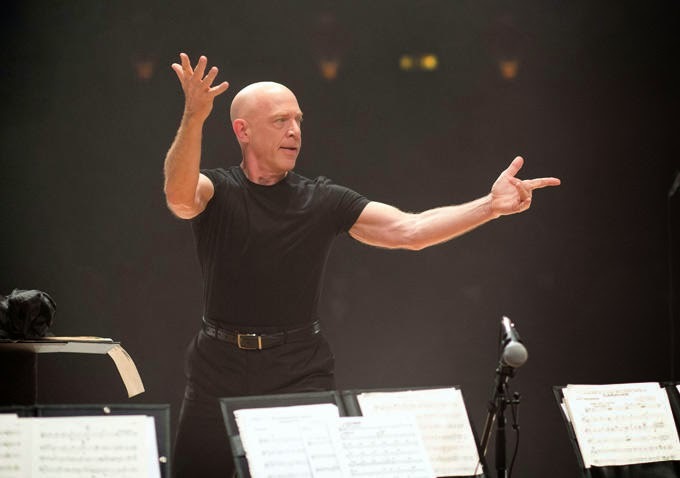 When offered a chance in their top ensemble, Andrew quickly discovers his conductor and mentor is a man unlike anyone he has encountered before. 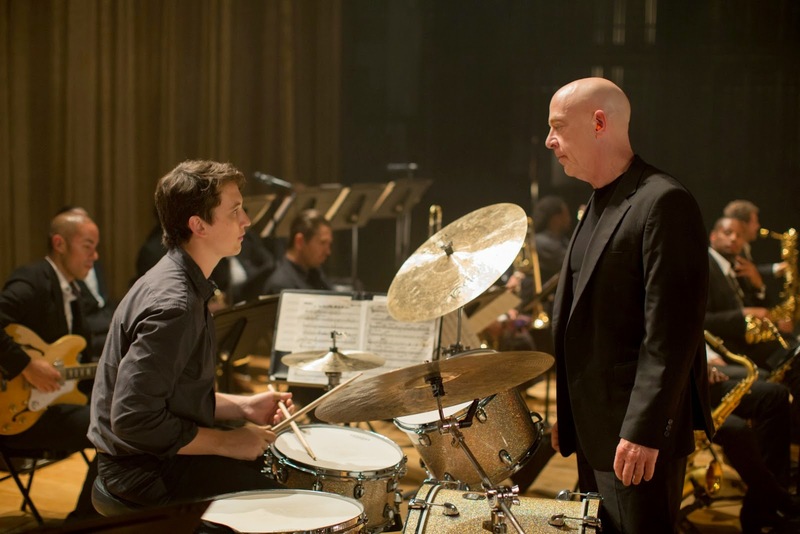 Terrence Fletcher’s (J.K. Simmons) teaching style is to bully, intimidate and humiliate his musicians to make then reach for greater heights. In the process, he works his students to the point of physical and mental exhaustion. In particularly Andrew, who he pushes to the limit in order to make him try to attain his full potential. Fletcher wants to produce the next big thing in jazz, his Charlie Parker. At times he plays Andrew off against other drummers until he becomes so desperate to be the band's preferred choice that he practices for hours, dripping blood (literally), sweat and tears over his own drum kit. In the process he shuts out his personal life and starts copying some of Fletcher's own less desirable traits. The two of them go head to head through the entire film and they are essentially the only characters in the film. There are a few other minor characters, to remind us what normal unobsessed people look and act like. We meet his father and some of his family, who he upsets with his blind ambition. 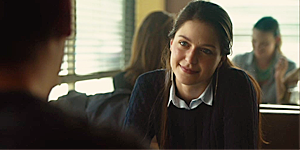 Also at the start of the film we see Andrew chat up Nicole (Melissa Benoist), a girl who works in the local fast food joint he frequents. She becomes his girlfriend, sort of. ‘Sort of’ because he never really has time for her and then when he realises he can’t even spare five minutes for her if he wants to get in the band, he rather crudely dumps her. By the time he finds out he needs to rebuild some bridges in his personal life, it’s too late and she has found someone else. The film is good and the two leads are very good particularly Simmons who is a total unlikeable force of nature. This may be a film about drumming but it could have focussed on many things. Greatness doesn't come easily whatever your field of dreams. Hard work and self-sacrifice are always part of the game. Any top coach will always try to push you to the limits. Whether Terence Fletcher’s way is the best is the debate. Well worth seeing. Film of the year so far.